People get arrested every day for one thing or another, but have you ever wondered what the top 3 things that people get arrest for, are? You will be surprised how many people get arrested for things like theft and driving under the influence. The best way to avoid getting arrested is to follow the laws. They are in place for a reason and should be followed. Nobody wants to sit in jail or even prison due to an arrest. Be smarter than that and plan ahead so you don’t get put in this situation. #1 Drug Possession – Drug possession is something that people get arrested for every single day. Whether you have small amounts of drugs on you or large amounts, it is up to the police officer that pulled you over, yo decide if they want you to be arrested for it. The best way to avoid this, is to not carry drugs on your person. This was if you do get pulled over, there will be nothing to charge you with. #2 Driving Under the Influence – Drinking and driving or Driving while under the influence is a huge problem in the United States. Thousands of Americans are killed yearly because of drunk driving accidents. This is something that can be prevented by taking a car service or having a friend pick you up. It is not worth all the problems that can and will happen if you do it. #3 Theft – People steal all the time. It doesn’t matter if you do it once or you do it all the time, every time is wrong and you will go to jail if you are caught. All of these offences will land you in jail so you will be needing a bail bondsman. 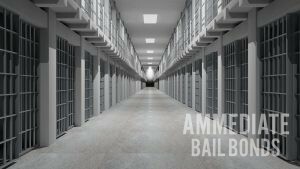 If you find yourself in this situation, give Ammediate Bail Bonds a call at (321) 631-2663. Posted in Uncategorized on March 14, 2018 at 2:53 pm by Ammediate Bail Bonds.